Recommendations help you improve organic visibility and relevance with your target audience by providing detailed SEO recommendations of your existing content. Review detailed optimization instructions and assign tasks to relevant team members. Recommendations lift the veil of key SEO ranking factors and provide you with prescriptive instructions to optimize. Each recommended action is unique to your content page and its own competition. Review estimated impact on SEO by each optimization tactic to prioritize your resources for maximized outcome. 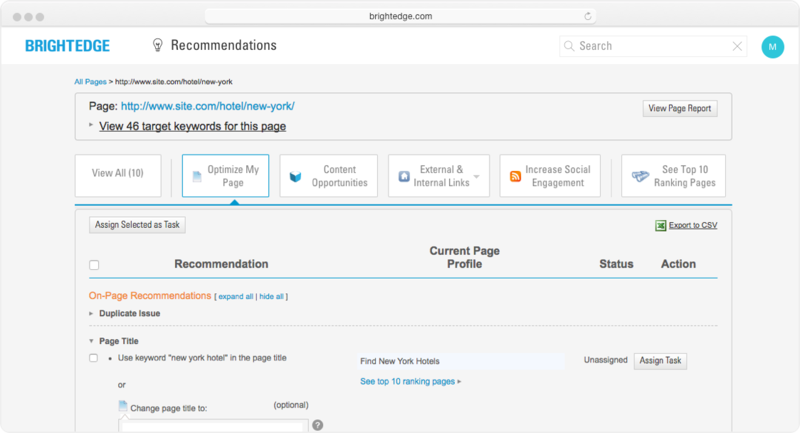 Based on existing content, Recommendations surface comprehensive on-page and off-page enhancement recommendations, including page title, H1 tag, backlinks, and others. But its power doesn’t stop here. The AI-powered engine adapts to new sets of recommendations if new target keywords are added or new customized SEO rules are defined. All from within Recommendations. Ready to learn more about Recommendations and the rest of the BrightEdge platform? 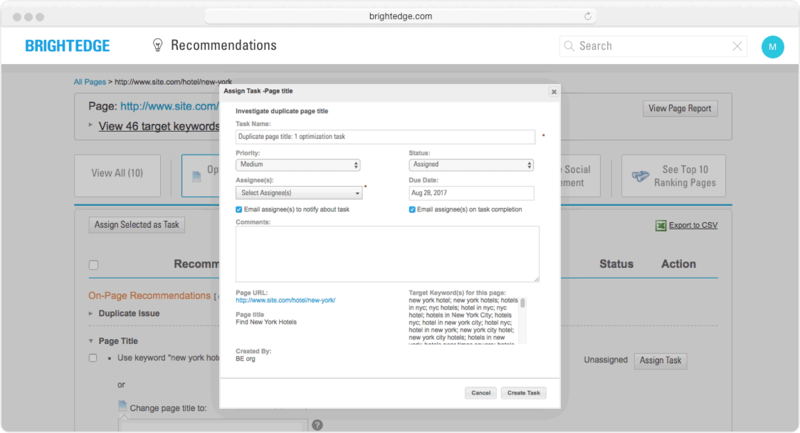 Assign each optimization action to relevant subject matter owners from directly within the platform. Once the task is completed an automated site event tag will be created to help you keep track of the content change history. Tie business ROI to SEO optimization by correlating these events with improvements in site metrics. 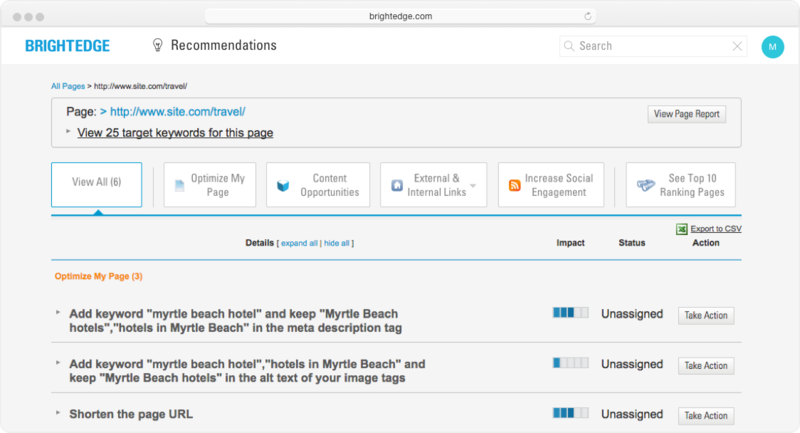 We can drill into any page and look at the specific recommendations on a page level. This helps us improve our content marketing. BrightEdge innovations really have helped us drive forward in our overall strategy. Capitalize on seasonality by making the right adjustments before your holiday code freeze.